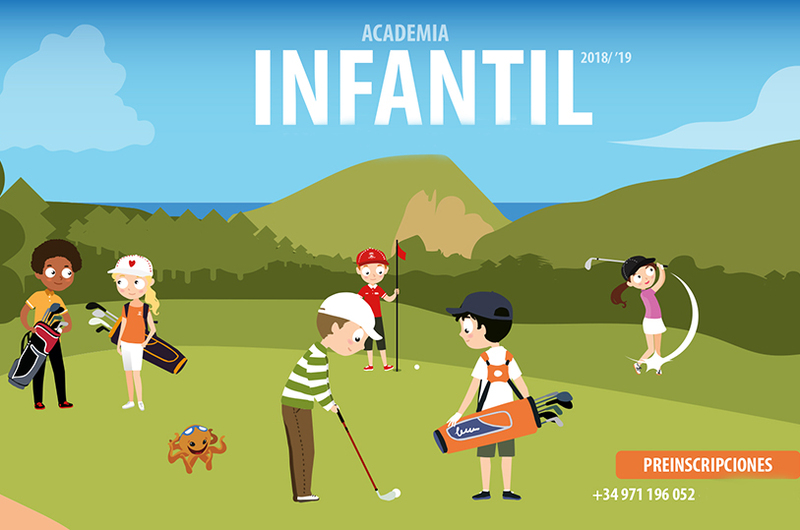 September 29th is the starting day in Golf Ibiza for the new course of the Children’s Golf Academy, with the help of our teachers David Álvarez, Director of Children’s Academy and Marcos Juan, Sports Director of Golf Ibiza. This year the course will be formed of small groups that will be based on level and age, and with activities tailored to the needs of each group of children. Children will learn to develop their ability to concentrate with this exciting sport, in the company of their friends in a unique natural environment. During the course, the techniques of golf will be intensified without leaving aside the fun, the contact with nature and the good values of improvement, sportsmanship and friendship. The course schedule will be from 9:30 a.m. to 5:00 p.m. on Saturdays and Sundays. – For registration please approach the reception of Golf Ibiza where you will be provided with the registration form. You also can call to +34 971 196052 or send an e-mail at info@golfibiza.com with the registration form filled in. – Deadline for registration: Wednesday, September 26th, with the possibility of incorporating more children according to requests. – Minimum age 6 years and maximum age 21 years. – Discount of 10% on the annual payment. – If canceling the 3-month course we require notification at least 30 days before the course begins. – Materials needed during the course: must have water and cap.
. T-shirt of the Children’s Academy 2018-2019.
. End of Course Tournament 2019. 1.30 hours of class per week: 180 euros/quarter. 2 hours of class per week: 210 euros/quarter. 3 hours of class per week: 300 euros/quarter.